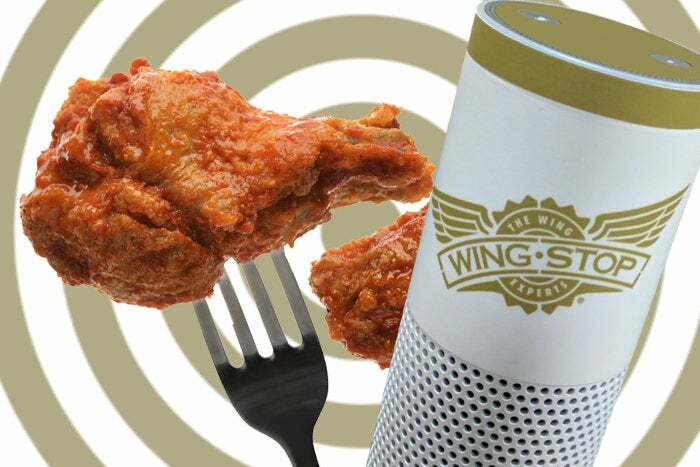 Wingstop has launched a voice-based ordering service that leverages Alexa, Amazon.com’s popular virtual assistant technology that’s seeing momentum across several sectors. Amazon.com's Alexa software is gaining significant traction among businesses, if its headline hijacking at the Consumer Electronics Show (CES) is any indication. Quick-service chain Wingstop Restaurants has joined the party by allowing consumers to order wings and other menu items via the voice-triggered virtual assistant. Wingstop CIO Stacy Peterson says the move marks an evolution in the company's efforts to allow customers to order food from any digital touchpoint, including online, mobile devices and via social media. "This is our first entry into voice automation and I'm excited about learning more about... seeing how we can continue to broaden our ordering channels," Peterson tells CIO.com. Alexa is software that Amazon.com makes available through its home-based appliances, such as the Echo, Tap and Dot. Talking to built-in speakers allows you to access information and command the cloud application to initiate transactions using your voice. You "wake" Alexa up by saying her name and then issue a request for information or command her to stream music. Many companies in the food service and other industries are experimenting with voice-based assistants as they seek new digital channels. For example, Domino's Pizza has created a voice-based virtual assistant while Starbucks will soon launch a virtual barista to test voice-based ordering from a phone. Wingstop hopes consumers use Alexa to order food from nearly 1,000 worldwide locations. More than 75 percent of the Dallas-based chain business comes via takeout and half of those orders come via the phone. Affording the convenience of ordering from the virtual assistant, rather than a customer service employee, would be more efficient for both Wingstop and its customers. Wingstop customers can place and customize new orders, re-order from favorite and recent orders, pay their bill and access other information, such as estimated pick-up times, through the new service through Alexa. You don’t necessarily need to be perfect when placing orders. Wingstop has enabled Alexa to walk you through a series of prompts for how to order. If you miss a step, such as reciting a certain dipping sauce, Alexa will request the missing information. You can alter your favorites at any time, set order locations and save payment information to Alexa. Peterson and her team conquered one huge challenge to get their Alexa service to work: Mastering the new UI. Wingstop has licked the tricky nature of designing software for an array of devices, from 13-inch laptop displays to 7-inch tablets and 4-inch smartphone screens. It lets consumers order online, via a mobile app and through Facebook Messenger and Twitter. Voice-based triggers required the company to anticipate the myriad ways people order food and beverages by speaking. It then needed to tailor and program Wingstop’s taxonomy to work with Alexa. Peterson had to consider how a voice-based user experience flows to Amazon.com's cloud, which required anticipating the words customers use and the various permutations of how they structure their order. "All of those words and flows had to be created and reimagined for voice automation," Peterson says. "That was the biggest challenge for us -- getting our team to rethink how a customer comes up to Wingstop, how they order, what naturally they say -- all of those words have to be mapped back to Alexa's skill." Learning curves are common among brands testing intelligent-assistant technology, particularly for voice-controlled interactions that are not yet mainstream, says Forrester Research analyst Jennifer Wise. Brands are still figuring out how to navigate voice-activation and conversational interfaces, Wise says. Consumers began adopting the Alexa service in earnest in 2016, but whether or not it would resonate with businesses remained an open question until relatively recently. Wise says that Alexa is getting the lion’s share of attention because its transactional-based nature makes a good choice for ecommerce. Alexa is catching on in any industry where reducing friction is a necessity. Capital One has been working with Alexa to allow consumers to check financial transactions for roughly a year. Federal Express is also testing the software for logistics scenarios. CES was something of a coming-out party for Alexa among businesses. Volkswagen and Ford Motors both said that they would enable consumers to use Alexa in their automobiles while Whirlpool, Klipsch and Dish are supporting the technology in various consumer products. While Alexa is currently for “bleeding edge” for most consumers, Wingstop’s Peterson says that it is important for her company to adopt the technology early. As the Alexa ecosystem extends to cars and smart TVs, Wingstop will be able to leverage the new digital touch points to reach more consumers. “The great thing is that we’ll be there with her,” Peterson says.